As Europe returned to work after the summer holidays, officers from National Reserve Headquarters Royal Artillery (NRHQ RA) headed south on Exercise BAVARIAN EAGLE. 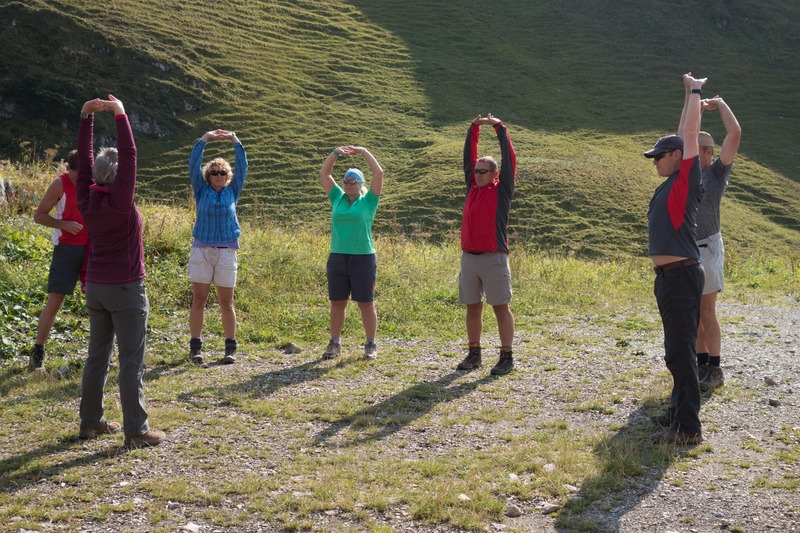 We were bound for Haus Magnus in Wertach, which incidentally, is a comfortable, well run Adventurous Training Group (ATG) lodge ideally placed for mountain hiking in the Allgäu region. Eleven of us and two drivers arrived on Mon 4 Sep somewhat jaded after 18 hours in two minibuses but under the watchful eye of exercise leader Maj Les Webb, began planning day hikes at altitude and a two night expedition. 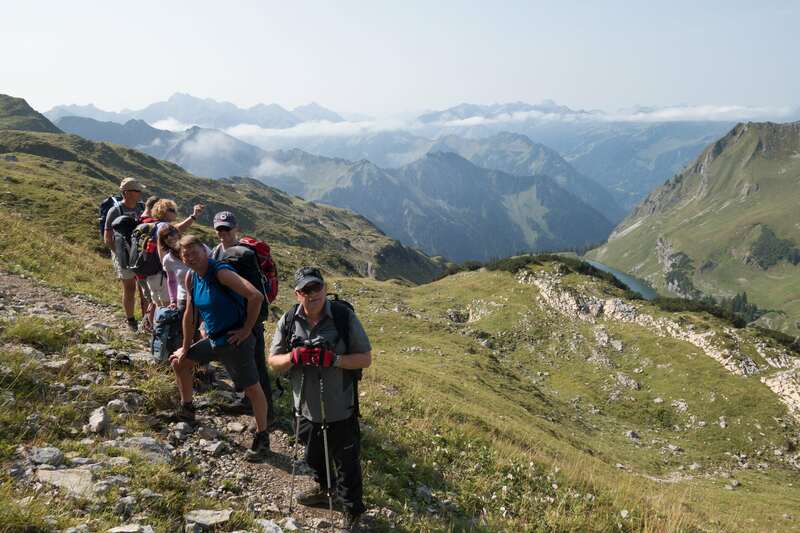 The aim was to achieve Quality Mountain Days (QMDs) in the mountains. With qualified leaders amongst us, in house training supported those hoping to become Mountain Leaders in the future. As Reservists, most had taken some form of annual leave from civilian jobs. The Banker, Policeman, Silversmith and Self-Employed shook off their day job worries and were soon packing bergans, poring over maps and preparing briefs. It was essential that everyone took a turn leading on the mountain to practice navigation, emergency drills and leadership skills. The excellent facilities at Haus Magnus meant that we were able to draw out clothing, ropes, shelters and maps from the stores as well as utilise their classroom for briefings. Mountain activity does largely depend on keeping a close eye on the weather. Although we arrived in sunshine, the ‘met’ picture for the week was less impressive. With Hurricane Irma in the Atlantic, we scrutinised weather charts daily to try and predict how this might affect us. Flexibility was key and adapting routes and timings due to local conditions required some fine tuning. However, we hiked every day, proving that Gore-Tex is waterproof – up to a point – and a flask of tea in the most hideous of rainstorms is a definite morale booster! 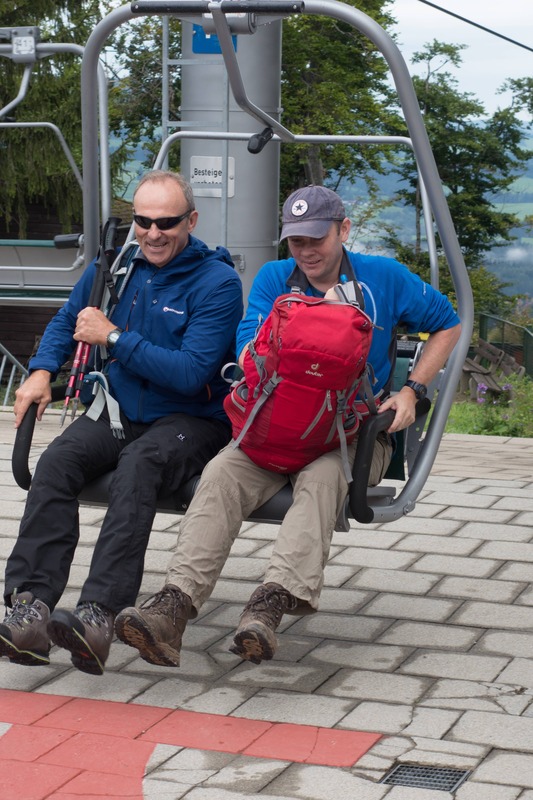 Maj Rob Ware planned the two day expedition which took the group up the Söllereckbahn cable car (1345m) and a hike up to the Söllereck peak (1706m). The walk along the ridge up to Fellhorn (2038m) was on a well-established path offering fantastic views of the Nebelhorn. Traversing around the Kanzalwand, we dropped into the valley and began to climb South up to the Fiderepass-hűtte (2067m) , the last hour in the rain. Overnighting in the hut was a great experience. A three person bunk bed in a communal room only really works for heavy sleepers (ear plugs essential for everyone else!) but hot showers and good food perched high on the German/Austrian border made it a night to remember. However, as we breakfasted, it began to snow and we realised that to continue on the planned route might be risky. Another consideration was four student girls who we’d met at dinner the night before. Unprepared for snow and slippery conditions, they were very nervous about heading off the mountain. They were hugely relieved when we suggested they come with us and retrace yesterday’s route. Lending them gloves, jackets and poles, we descended the few hundred metres out of the snow to safer conditions. The girls went off smiling and happy, hopefully to return another year with the proper kit! Tired but with a sense of achievement, we drove back to Woolwich on 14 Sep 17, many of us eagerly writing up log books and stashing away memories of Bavaria, hoping to return one day. 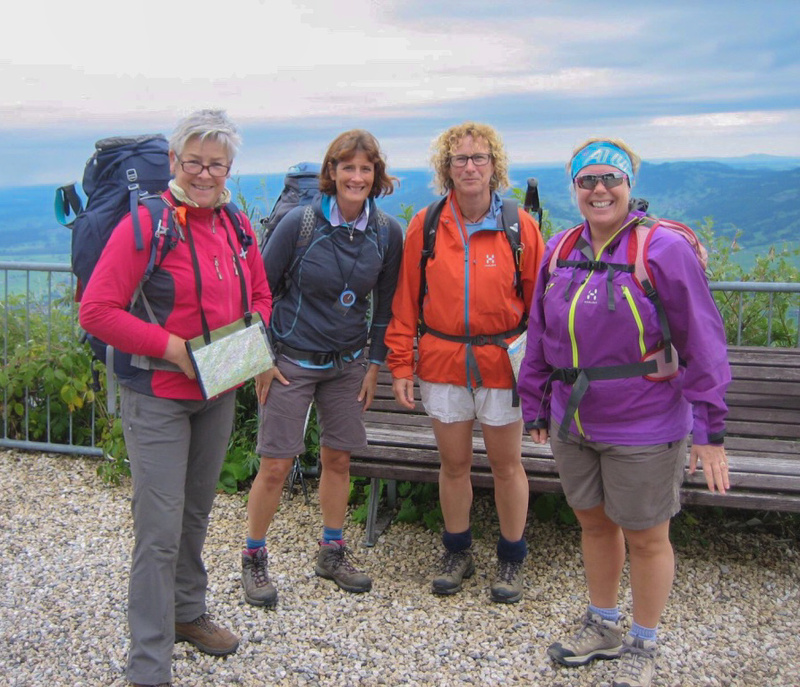 Exercise participants would sincerely like to thank The Ulysses Trust for their support to EXERCISE BAVARIAN EAGLE in the form of financial assistance. The Regular Army requires Mountain Leaders to take soldiers on adventurous training expeditions, giving them both challenges and opportunities to develop in a hostile environment. Officers taking part in this exercise will now be able to progress onto further Mountain Leader training and become instructors in due course. We very much appreciate the Trust’s assistance on EXERCISE BAVARIAN EAGLE.